Well it's certainly been a while since I first told you about this project, hasn't it? 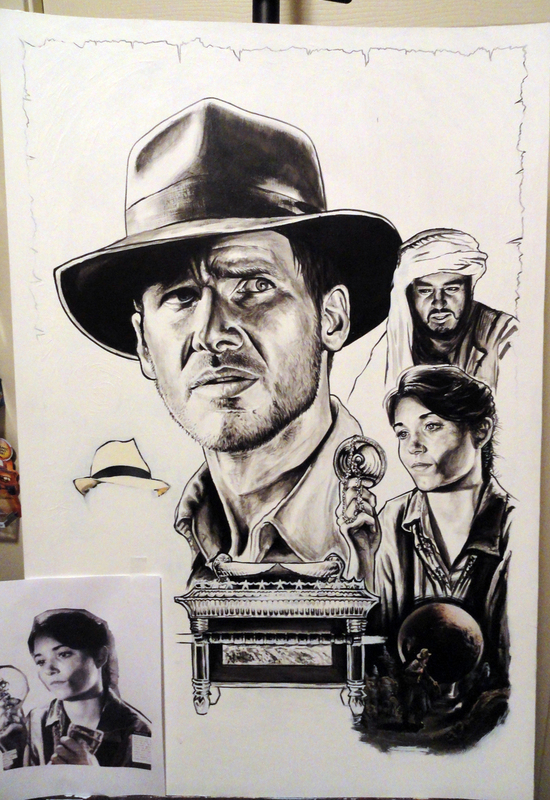 Unfortunately life and other projects had to be dealt with first and I really didn't get going on finishing the "Raiders of the Lost Ark" painting until late April. If you look at the pics from the first post, you can see that I've pretty much decided to redo just about everything. 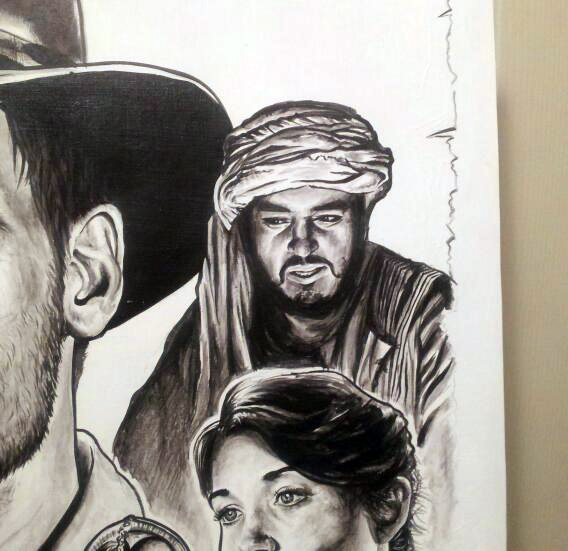 Right now the only parts of the original that remain are Indy with the boulder and Belloq's fedora. 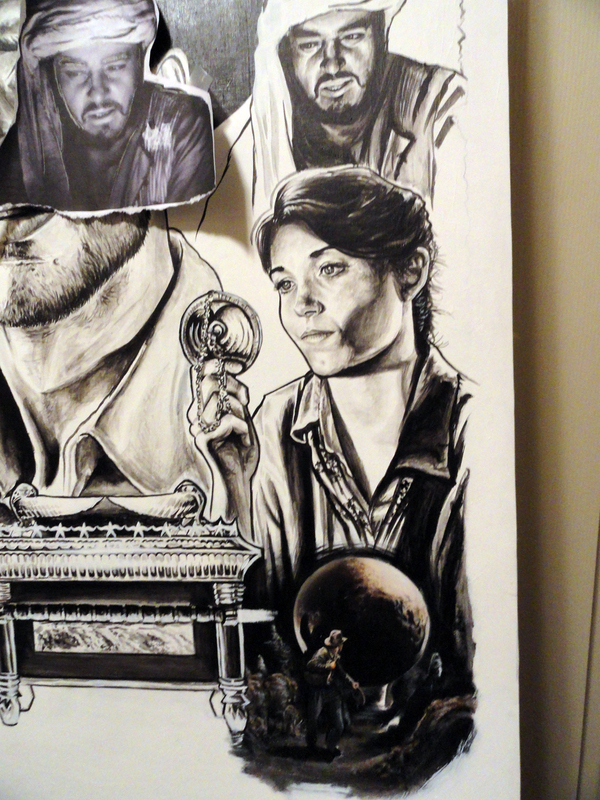 First I'm just painting the black and gray tones, then I'll add color layering a series of thinned acrylics. My goal is to have the painting finished by June 12, 2011 — which is "Raiders'" 30th anniversary. Gonna have to take some time off from it though, so I may have to blow that date, but darn it I'm still gonna try to make it! May just have to shoot for it being done in the "month" of "Raiders'" anniversary. We will see! I was recently invited to join Planet-Pulp, an awesome site comprised of some insanely talented artists, many whom I look at in awe for inspiration on a daily basis. Every month, they pick a theme and the artists contribute their interpretation of the theme to that month's "gallery." The site is run by uber talented artists Jayson Weidel and Adam Limbert. 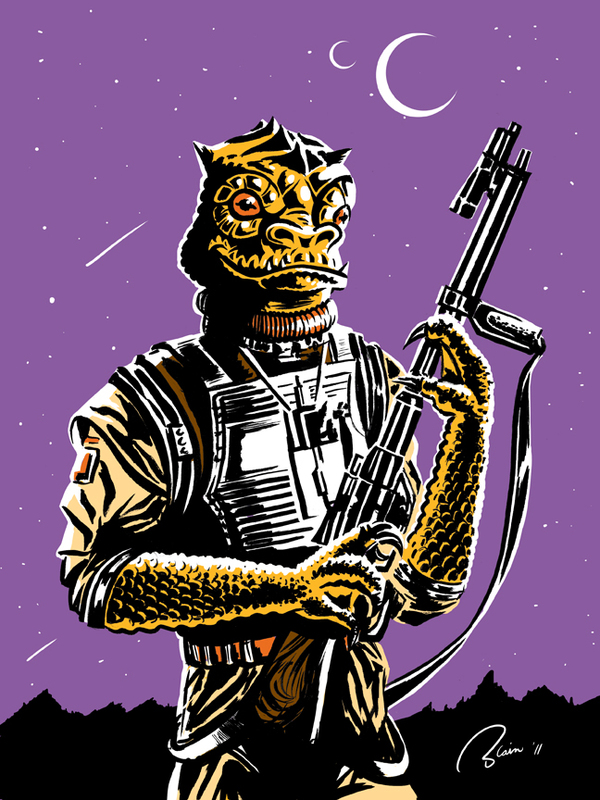 This month's theme is "Star Wars" so I decided to finally do that Bossk drawing that's been dancing around in my head for a while. I like to think of it as a quiet moment of reflection for Bossk, but more than likely he's just scouting for Wookies to hunt. I'm really looking forward to contributing to the rest of Planet-Pulp's shows. In the mean time, please keep checking the blog every so often for new and amazing artwork and follow them on twitter! Also, check out their archives for past shows like the Pixar one — blow you away!